Part ten of a ten-part series - The design and build stages of a project can be, potentially, the most bumpy. Alliance Leisure business development managers James Foley and Julia Goddard share how they helped smooth the way for clients in Doncaster and Cwmbran. Part one of a ten-part series detailing Alliance Leisure's process for creating successful public leisure facilities. Part two of a ten-part series detailing Alliance Leisure's process for creating successful public leisure facilities - Translating clients' wish lists into a viable scheme that's well conceptualise. Part three of a ten-part series detailing Alliance Leisure's process for creating successful public leisure facilities - How do you assess whether your desired leisure scheme is viable, and where do you go from there? Part four of a ten-part series detailing Alliance Leisure's process for creating successful public leisure facilities - For any planned leisure development, rigorous site investigations are essential to establish a realistic project cost. Part five of a ten-part series detailing Alliance Leisure's process for creating successful public leisure facilities - Fixed price contracts. Part six of a ten-part series - Managing the construction or refurbishment of a new leisure building is an involved process and it's Alliance Leisure's task to ensure that projects run smoothly, and are delivered on time and on budget. 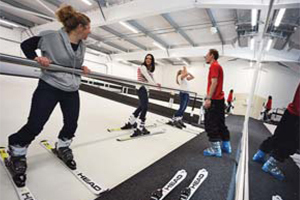 Part seven of a ten-part series - Alliance Leisure brings strong supply chain benefits to clients - not just in terms of price, but range, quality and aftercare. Part eight of a ten-part series - Whether it’s pre-sales assistance, staff training or a complete ‘no-results, no-fee’ package, Alliance has a bespoke solution to support all businesses. Part nine of a ten-part series - Leisure centres have a way to increase their sales, income and reach without any financial Outlay, thanks to Alliance Leisure's 'No Risk' package. business development managers James Foley and Julia Goddard share how they helped smooth the way for clients in Doncaster and Cwmbran. From Leisure Management 2016 Review: The opening of Selby Summit could spell a new era for publicly-owned leisure centres. Tom Walker investigates.